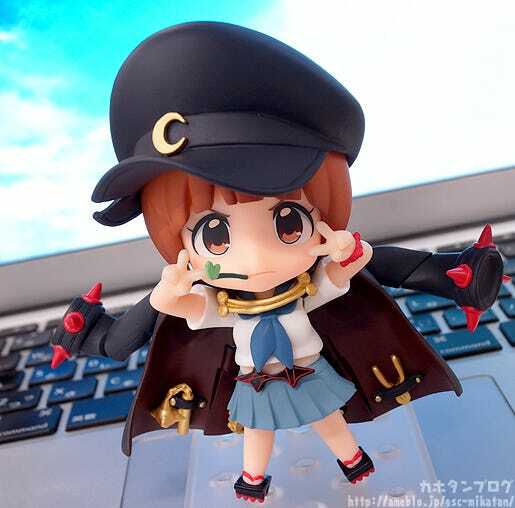 Kahotan's Blog | GOOD SMILE COMPANY Figure Reviews | Nendoroid Mako Mankanshoku: Fight Club-Spec Two-Star Goku Uniform Ver. When I was in middle school my uniform was a blazer, so I’ve always been rather envious of cute sailor-type uniforms! Fight Club-Spec Two-Star Goku Uniform Ver. 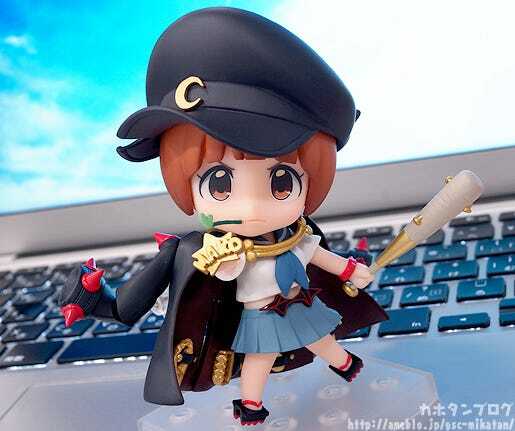 From the anime series ‘KILL la KILL’ comes a Nendoroid of Mako Mankanshoku wearing her Fight Club-Spec Two-Star Goku Uniform! 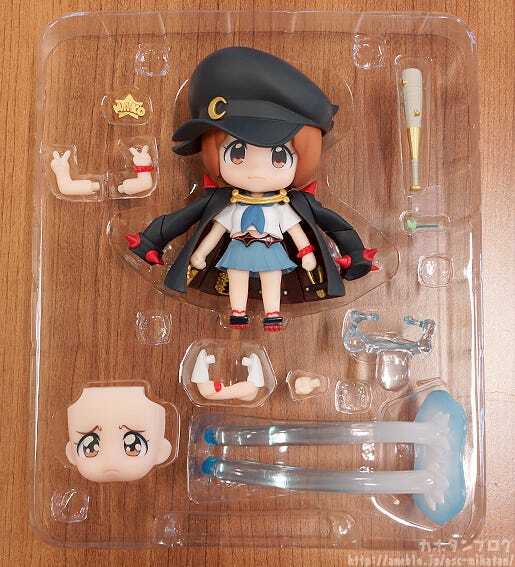 Optional parts include a spiked bat and brass knuckles to display her in action scenes worthy of the Fight Club President! 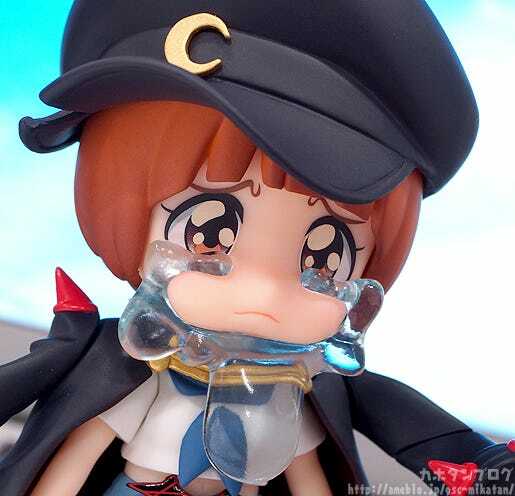 Mako comes with three different expressions including her standard expression as well as two different crying expressions – one based on her tears from episode 7 and the other based on episode 24. 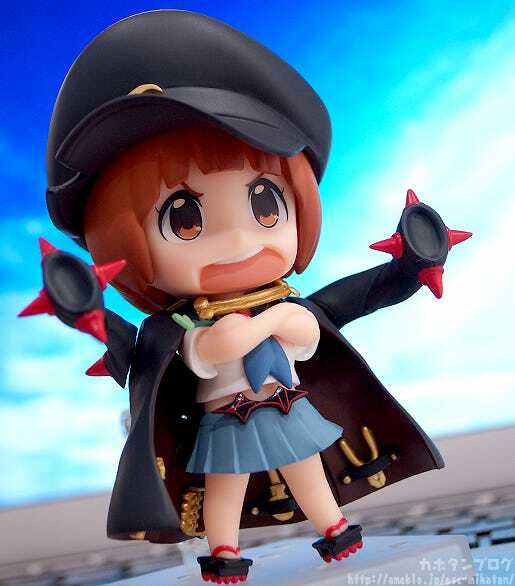 Be sure to combine expressions and parts with the previously released Nendoroid Mako Mankanshoku for even more options! 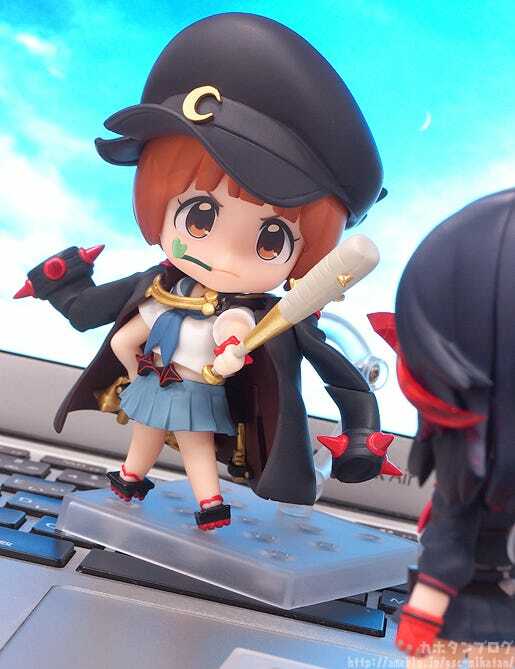 Her shining gold knuckle dusters engraved with ‘MAKO’, the dangerous looking spiked bat, school hat with a rebellious tear in the peak, black gakuran-jacket, geta shoes and leaf in her mouth!! Everything about her is so perfect! Starting with the box design! 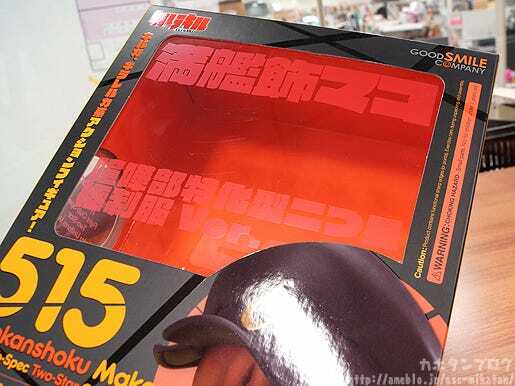 The whole box also has a matte finish but their are certain lines all over the design that have a glossy look to recreate that KILL la KILL atmosphere even from the box! The waterfall parts at the bottom right definitely draw attention! They all have been separately sculpted and all look rather imposing… although the Nendoroid size also gives them a slightly cute feel! I never expected that episode!! I love series that have such unexpected turns! I’m a huge fan of Mako-chan and this episode really made her shine… those who haven’t seen the series yet really should!!! 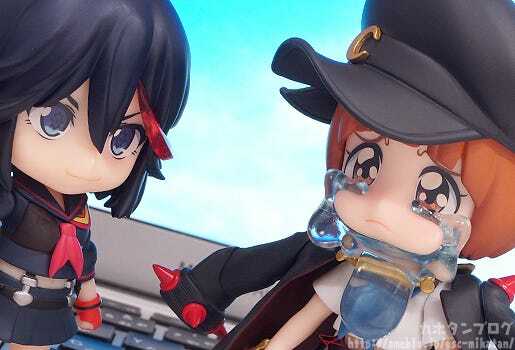 The famous crying expression has somehow been transformed into Nendoroid form!! 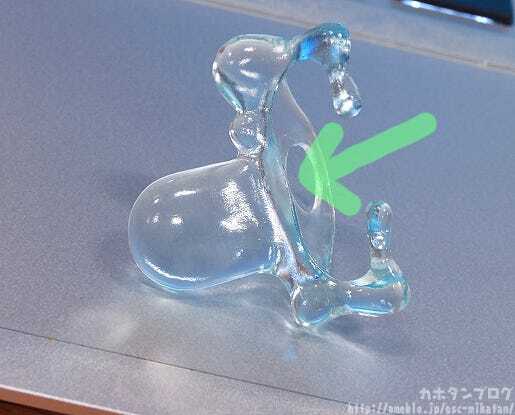 They are attached by slipping them through the joint of the head part! I feel like going to rewatch the series right now!! Anyway, let’s get back to the waterfall parts that were in the blister pack! These are special effect parts to recreate ANOTHER famous crying scene from Mako!! This one from the final episode!! The episode seemed rather serious most of the way and then suddenly Mako goes and cries like this… I wasn’t sure whether to laugh or cry!! I wish I had a Gamagoori to pose together with her!! 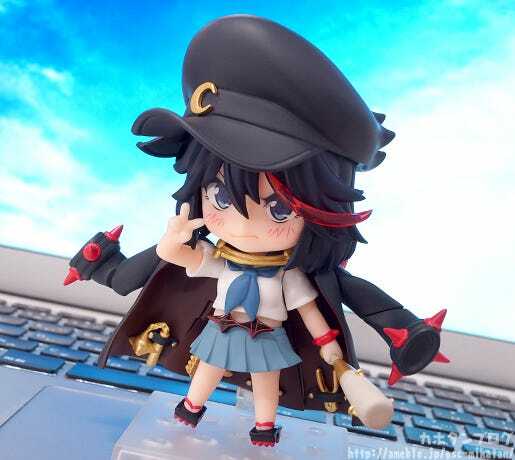 Ryuko-chan also decided to try on the uniform! 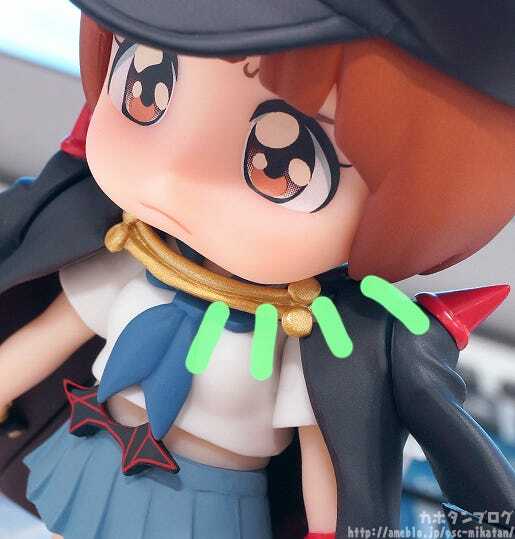 The hat doesn’t quite fit… but the outfit seems to work really well with Ryuko-chan’s embarrassed expression!! 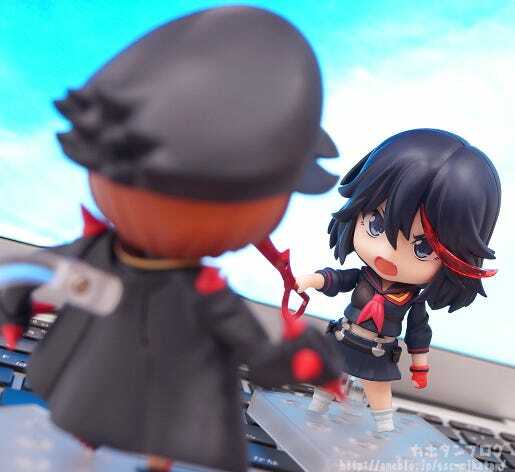 Fun alone, fun to swap parts and great to pose with Nendoroid Ryuko! 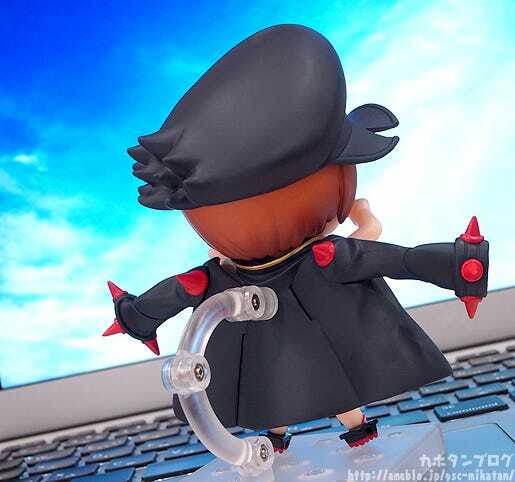 She will be on sale at various international events and at WonFes! 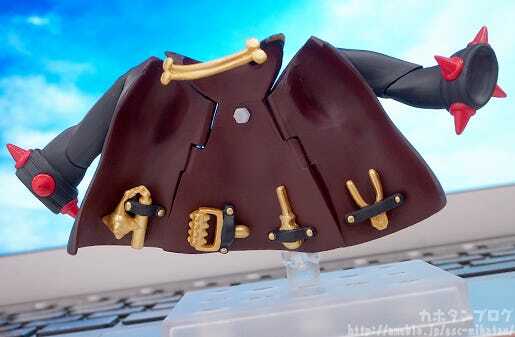 You can also grab her from the GOODSMILE ONLINE SHOP if you’re unable to get to any of the events! 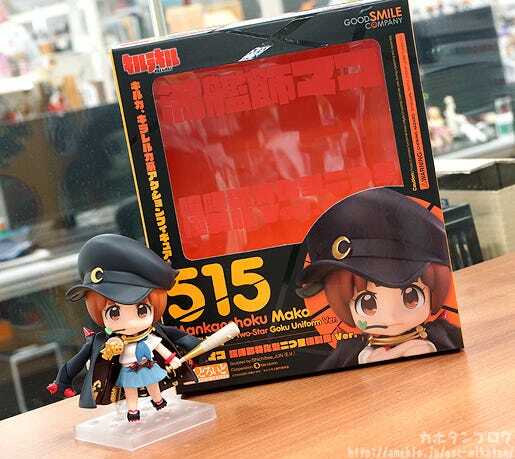 ⇒　Nendoroid Mako Mankanshoku: Fight Club-Spec Two-Star Goku Uniform Ver. 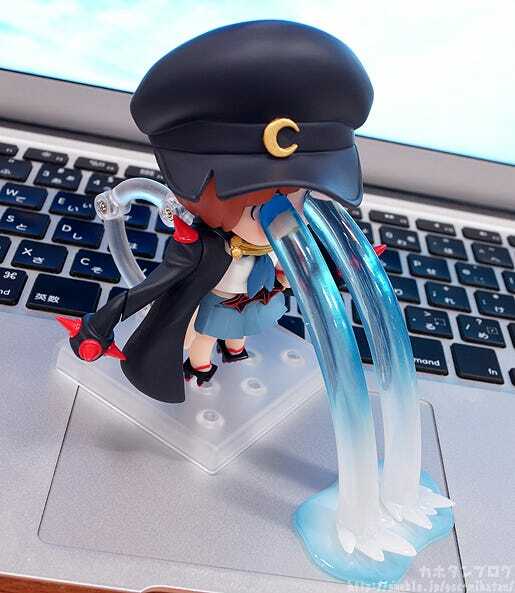 Orders will be open from the 26th July 2015 at 16:00JST – 3rd August 2015 at 21:00JST. * Products will be made to order, and are estimated to ship out in November 2015. * This product will also be available for purchase at other events not listed here.